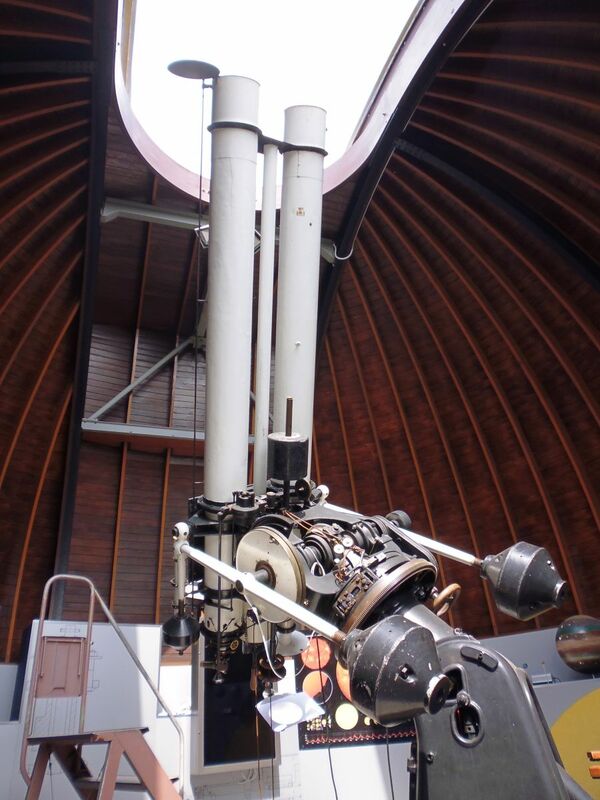 Triple refractors at the Stefanik Observatory Prague. Obtained my first view of a prominence in hydrogen alpha light. Spectacular!